CrossFit has been on the scene for a while now. I first heard of it about a year ago whilst I was still in Newcastle from a few of the guys I worked with but in my head it sounded like a 'lad' thing and I didn't really understand it. 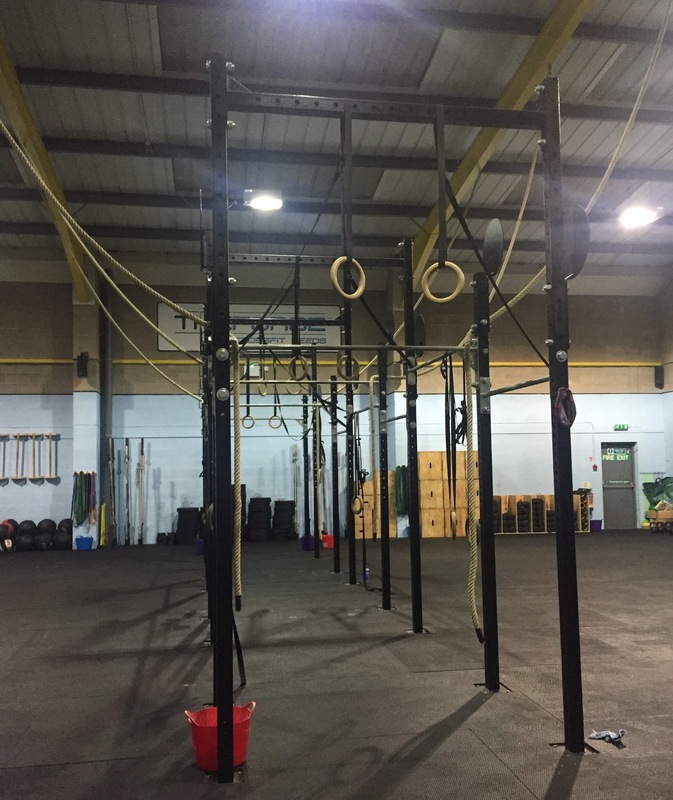 However, after watching the CrossFit craze take over the UK over the last few months I've become increasingly curious as to what all the fuss is about, so I decided to try it out. 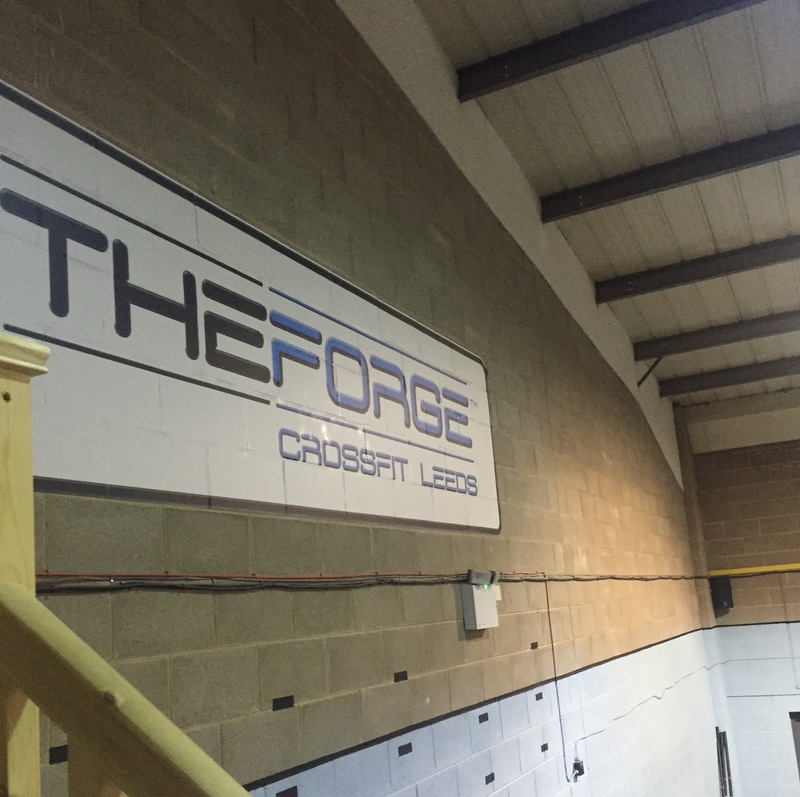 I signed myself up for a taster session at The Forge in Kirkstall, Leeds and went along on Monday at 7.30pm. When I arrived there was a class still in full swing and the first thing I noticed was how sweaty and exhausted every single person looked. I suddenly felt a tad panicked that I might be thrown in at the deep end which would result in me keeling over half way through the session. 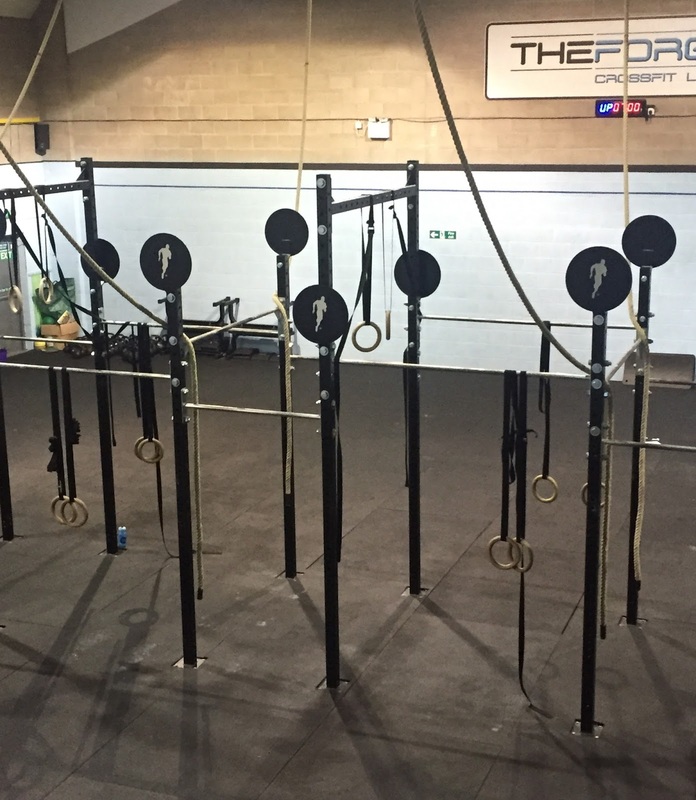 Luckily, the taster session is specifically designed to introduce you to CrossFit in a way that works best for you - no matter what your previous experience. The exercises included are easily adaptable for people with different strengths, stamina and flexibility which is really helpful. In total there was five of us in the taster group and the owner of the gym, Mike, lead our session. He made a real effort to remember all of our names so he could address us personally when we needed a bit of motivation or to let us know if we needed to improve our form during an exercise. We started with a chat about the structure of the session and what to expect at a normal CrossFit class. At the start of each class is a standard warm-up then a focus on; body/core strength, skill or form and flexibility. Every day there is a different "WOD" written on the whiteboard which stands for "Workout of the Day" and this is what you end the session on. For us the workout was 6 burpees, 8 dumbbell thrusters and 10 v-sits. Written underneath the workout was "7 minutes AMRAP" which basically meant we had 7 minutes to do "as many rounds as possible", sounds pretty easy right? That's because Mike was taking it easy on us. The class before had a more complex WOD and 30 minutes AMRAP! The warm up (which was well needed as the whole front side of the gym was open to the the outside) was really simple and we did a few parts in pairs to get to know the other members of the group. We then talked through the different parts of the WOD and made sure each person was performing the movements properly before going in to the full seven minute workout. I think I managed to complete five rounds in seven minutes and I was ready to collapse afterwards so god knows how I would have lasted 30 minutes! Mike made me aware that if you were doing a 30 minute WOD you would concentrate more on form and quality of exercise than the speed at which you could get through it, meaning you shouldn't be as worn out. 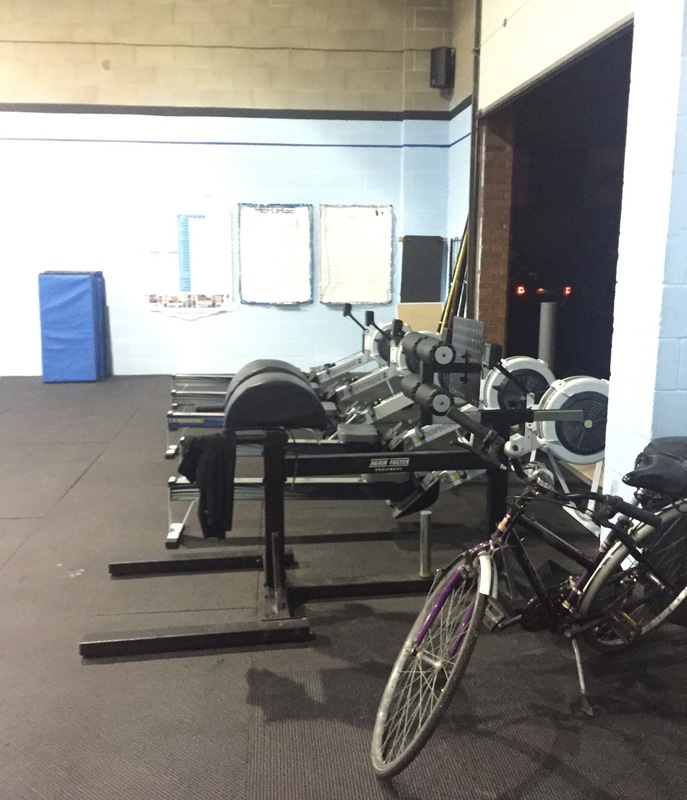 Throughout our session, members of the club who had taken part in the previous class hung around using the open gym, free weights and rowing machines and socialising with each other. 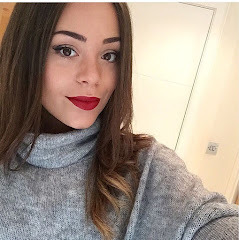 There was something about the atmosphere that was totally different to a normal gym, there was a real sense of community - it almost felt like when I used to go to youth club and have loads of fun with new people. From congratulatory high-fives to supportive cheers - it wasn’t something you see at a standard circuit’s class. The next step is a fundamentals course which consists of six 45 minute classes teaching you everything you ever need to know about CrossFit; how to use the intimidating looking structure in the middle of the gym, all of the workouts you could possibly be given, how to hold weights etc. Basically, all of the important stuff to make sure you use the equipment correctly in order to train safely and get the most from your session. The fundamentals course is compulsory and costs £75 (that may vary in different locations) but it's worth it to gain the knowledge and confidence before starting classes. I'm hoping to get booked on to a course in January and continue CrossFit in the new year - it was great and I can see how people get hooked so quickly! I've never spoken about fitness or exercise on my blog before but it's actually something I really enjoy and try to always incorporate into my life. I aim to go the gym at least three times a week and go to running club on either a Monday or a Thursday (I've been slacking recently but I love to run and try to go as often as possible). Let me know if you found this post helpful and if you'd like to see more fitness posts in the future. I love reading fitness bits! This sounds so intense but also awesome! I have wondered what crossfit is, I bet it gives you the best workout. I really want to try and get to some of the classes at my gym!